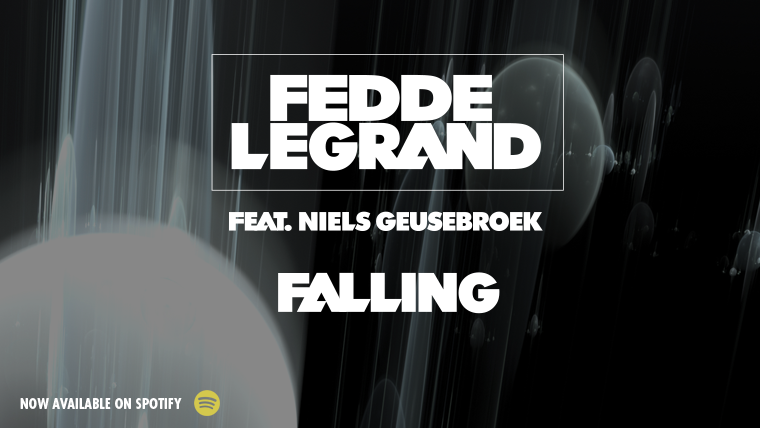 World-renowned DJ and dance music legend Fedde Le Grand is continuing in prolific fashion today with his second release of the new year – ‘Falling’, available to stream exclusively on Spotify as of Jan 29th followed by its full commercial release on Feb 6th. Click here to find it on SoundCloud. Still revelling in the success of ‘Tales Of Tomorrow’ - a track that since its release in January has already amassed nearly over 2 million plays across musical platforms - Fedde is now back with another huge collaborative effort. This time around calling upon his fellow countryman Niels Geusebroek, the two boast a rich combination of euphoric chords progressions, catchy melodic riffs, a huge four to flour beat and lush vocal harmonies. This track is sure to become a firm favourite in the summertime festival sets of DJ’s the world over. For now however the club release of the extended mix seems to be unrevealed so far so stay tuned for that! Having recently been premiered on Radio 538 in Netherlands to great fanfare, and with the wind already firmly in Fedde’s sails, this track is set to blow up in the coming weeks. All of this in time for Fedde’s six sold out ‘GRAND’ shows in Amsterdam that will see him showcase his eagerly anticipated new live show for the first time. 2015 is certainly shaping up to be one of Fedde’s busiest and most successful years to date. Check out how Falling came to exist in this super cool making-of video.